What Is Micropen Microneedling? Micropen Microneedling, also known as Automated Micro-Needling, is a non-laser treatment used to resurface the skin. Other uses are to create superficial micro- channels which can be used with topical gels, creams and serums to deliver them deeper in the skin. Automated Micro-Needling (also known as Collagen Induction Therapy or CIT) is a new innovation in aesthetic medicine for treating the appearance of fine lines, acne scars and improvement of the skin’s overall appearance. During this procedure, tiny microneedles are used to create controlled micro-injuries to the skin in order to produce collagen and elastin. The skin’s repair process results in improvement of the appearance of softer wrinkles. We offer The Eclipse MicroPen™, the number 1 and most advanced medical-grade automated micro-needling device on the market. Why We Are Microneedling experts Dr. Tess is a pioneer with the use of Microneedling with complementary gels and solutions. She was one of the first physicians to use Micro-needling in her practice and invented the revolutionary Time Machine Procedure which includes micro-needling. What Are The Benefits? The benefits of micro-needling are a reduction in the appearance of • fine lines • wrinkles • acne scars • large pores • traumatic scars • stretchmarks • overall aged skin What Areas Of The Body Can I Treat? Eclipse MicroPen™ can be used on all parts of the body; Face, neck, décolleté, arms, hands, legs, abdomen and back. How Is The Procedure Done? 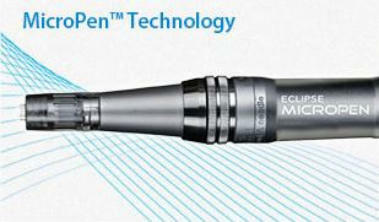 A sterile needle-tip containing 12 tiny micro-needles is attached to the Eclipse MicroPen™. Your practitioner will apply a thin layer of topical gel to your skin and select the appropriate setting based on your unique needs. Next the pen will be gently pressed against the skin while simultaneously gliding in one direction until the entire treatment area has been covered. What Does It Feel Like? The feeling associated with the Eclipse MicroPen™ is similar to light sandpaper being moved across the skin. While some areas are more sensitive than others, the speed and vibration of the reciprocating needle tip reduces discomfort while the applied hydrating gel also makes the treatment more tolerable. We apply a high quality topical numbing cream to your skin for maximum comfort. How Long Does The Procedure Take? The procedure takes 10-20 minutes depending on the size of the area treated. What Is The Downtime? Immediately after the treatment you will notice a bright redness to the skin. The total healing time depends on the Eclipse MicroPen™ setting used and the number of overlapping passes your skincare professional performs. On average, patients are red up to 2 to 4 days. Many patients heal completely in as little as 24 hours. Utilizing the Eclipse Dermal Recovery System™, or other quality skincare products, provided by your skincare provider, can help to speed up the healing process. When Will I See The Results? Patients notice an immediate “glow” to their skin. Visible changes to the skin develop over the course of several days and weeks. Results continue to improve up to 6 months after the treatment as collagen production continues. How Many Treatments Will I Need? Some patients only require a single treatment, once per year to achieve optimal results. However, it is recommended for most patients to receive a series of 2-3 treatments spaced about 6-8 weeks apart. For patients with deep wrinkles, advanced photo-aging, stretch marks or acne scars it is recommended to receive 6-8 sessions at 6 week intervals. What Is Micropen Microneedling? Micropen Microneedling, also known as Automated Micro-Needling, is a non-laser treatment used to resurface the skin. Other uses are to create superficial micro-channels which can be used with topical gels, creams and serums to deliver them deeper in the skin. Automated Micro-Needling (also known as Collagen Induction Therapy or CIT) is a new innovation in aesthetic medicine for treating the appearance of fine lines, acne scars and improvement of the skin’s overall appearance. During this procedure, tiny microneedles are used to create controlled micro-injuries to the skin in order to produce collagen and elastin. The skin’s repair process results in improvement of the appearance of softer wrinkles. We offer The Eclipse MicroPen™, the number 1 and most advanced medical-grade automated micro-needling device on the market. 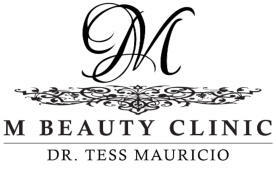 Why We Are Microneedling experts Dr. Tess is a pioneer with the use of Microneedling with complementary gels and solutions. 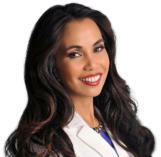 She was one of the first physicians to use Micro-needling in her practice and invented the revolutionary Time Machine Procedure which includes micro- needling. What Are The Benefits? The benefits of micro-needling are a reduction in the appearance of • fine lines • wrinkles • acne scars • large pores • traumatic scars • stretchmarks • overall aged skin What Areas Of The Body Can I Treat? Eclipse MicroPen™ can be used on all parts of the body; Face, neck, décolleté, arms, hands, legs, abdomen and back. How Is The Procedure Done? A sterile needle-tip containing 12 tiny micro-needles is attached to the Eclipse MicroPen™. Your practitioner will apply a thin layer of topical gel to your skin and select the appropriate setting based on your unique needs. Next the pen will be gently pressed against the skin while simultaneously gliding in one direction until the entire treatment area has been covered. What Does It Feel Like? The feeling associated with the Eclipse MicroPen™ is similar to light sandpaper being moved across the skin. While some areas are more sensitive than others, the speed and vibration of the reciprocating needle tip reduces discomfort while the applied hydrating gel also makes the treatment more tolerable. We apply a high quality topical numbing cream to your skin for maximum comfort. How Long Does The Procedure Take? The procedure takes 10-20 minutes depending on the size of the area treated. What Is The Downtime? Immediately after the treatment you will notice a bright redness to the skin. The total healing time depends on the Eclipse MicroPen™ setting used and the number of overlapping passes your skincare professional performs. On average, patients are red up to 2 to 4 days. Many patients heal completely in as little as 24 hours. Utilizing the Eclipse Dermal Recovery System™, or other quality skincare products, provided by your skincare provider, can help to speed up the healing process. When Will I See The Results? Patients notice an immediate “glow” to their skin. Visible changes to the skin develop over the course of several days and weeks. Results continue to improve up to 6 months after the treatment as collagen production continues. How Many Treatments Will I Need? Some patients only require a single treatment, once per year to achieve optimal results. However, it is recommended for most patients to receive a series of 2-3 treatments spaced about 6-8 weeks apart. For patients with deep wrinkles, advanced photo-aging, stretch marks or acne scars it is recommended to receive 6-8 sessions at 6 week intervals.